When the Luxury Real Estate Market is on the Rise, Savvy Buyers and Sellers Alike Are Turning to Absolute Auction to Determine Fair Market Pricing. Buyers and sellers alike are realizing that in a changing marketplace or a growing market, absolute auction is an expedient and reliable way to establish fair market value for a luxury property. The owners of a 1938 classic six-bedroom, six-and-a-half bathroom Columbus, Ga. Greek Revival estate decided that the best way to market their timeless home in a growing Southeast city would be through absolute auction. The impeccably designed estate boasts more than 8,400 square feet of heated living space combining the latest modern conveniences with traditional architectural details. The luxury home will be offered at absolute auction on Tuesday, April 16th at 2:00 p.m. by Grand Estates Auction Company. The sale of luxury homes soared at the end of 2012 with November sales of homes valued at $1 million or more spiking 51% compared to a year earlier according to the National Association of Realtors. Buyers and sellers alike are looking for new ways to establish market value in a changing market. For many the answer is absolute auction, where the interested buyers determine the price. This is particularly true in growing markets like Columbus. Absolute auctions require no minimum bid or reserve price and are becoming increasingly popular with buyers and sellers of luxury real estate throughout the world due to their timeliness and transparency. There are no contingencies, no lengthy negotiations, and timelines for closing are already established. To help buyers make an informed purchase, a comprehensive due-diligence packet is available, and ample time is allotted for tours and inspections prior to the auction. Similar to rare artwork that does not have comparable pieces to set the value, exceptional properties such as this are well suited for auction, where bidders set the market value. 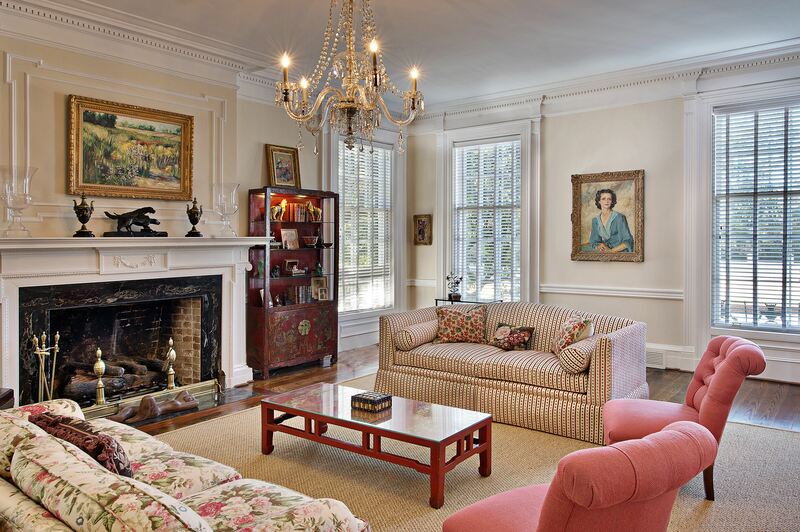 The stunning Greek Revival estate was built in 1938 and renovated in 2006. The home features Heart Pine and oak floors, abundant natural light, high ceilings, exquisite moldings, and original fireplaces and finishes. 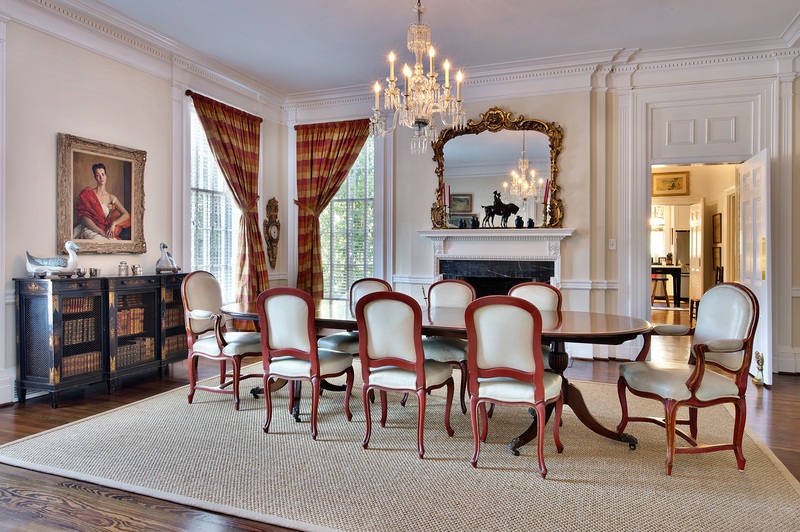 In addition to the six bedrooms and six-and-a-half bathrooms, the home features a gourmet kitchen, formal dining room, library, sunroom, theater, office and guest suite. Ample space for entertaining indoors is mirrored outdoors by large covered porches, outdoor fireplaces, English gardens, lighted badminton court, saltwater swimming pool, and gazebo on the 4.3-acre property. 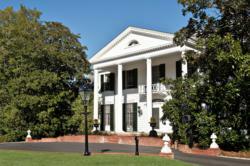 The Southern estate is conveniently located across from Columbus Country Club. Columbus was named one of Georgia’s “Top Renaissance Cities” by Georgia Trend Magazine in 2013. Described as “small-town charm and big-time buzz” with the perfect mix of cultural heritage, vibrant arts scene, and lively downtown business destination, Columbus includes the urban whitewater course, the Riverwalk, the Hughston Clinic, the Columbus Public Library designed by Robert A. M. Stern, the Columbus Museum, the National Infantry Museum, as well as the global business anchors of TSYS, Aflac, and Synovus. Columbus State University has brought not just the River Center for the Performing Arts, but also the riverfront theater complex. The Bo Bartlett Center for local artists and artists abroad will soon open. The auction will start promptly at 2:00 p.m. on Tuesday, April 16th. Provisions for remote bidding can be arranged. The property will be available for prospective bidders to preview beginning Friday, April 12th, at 11:00 a.m., with daily preview times scheduled through the date of the auction. Buyers may contact Grand Estates Auction Company’s auction information office to schedule an appointment during one of the preview times at 877-376-9560. A $100,000.00 certified check or personal check along with a bank letter of guarantee will be required to register to bid. Real estate agents and brokers are fully protected and encouraged to participate.